Chilling CCTV footage has emerged appearing to show the moment one of the Istanbul airport attackers was brought down by police. 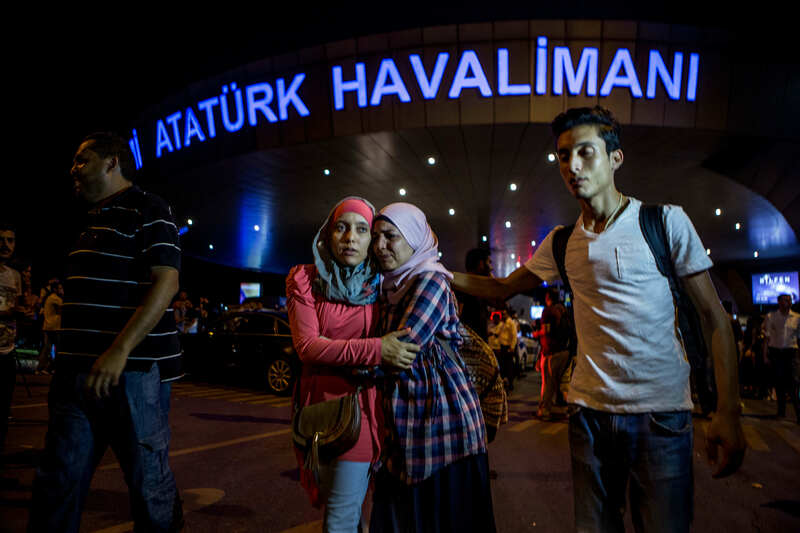 The footage captures the last moments of one of the three suicide bombers who launched a ‘major, co-ordinated’ attack on Istanbul’s Ataturk airport late Tuesday, killing at least 36 and injuring scores more. The video, which has not yet been independently verified, shows a man walking through the terminal armed with an AK-47, the Independent reports. As he walks around a corner, people can be seen fleeing in all directions before a police officer opens fire, causing the attacker to fall and drop his gun. The police officer can be seen approaching the terrorist before abruptly turning and running away. Seconds later, the man appears to detonate his suicide vest. 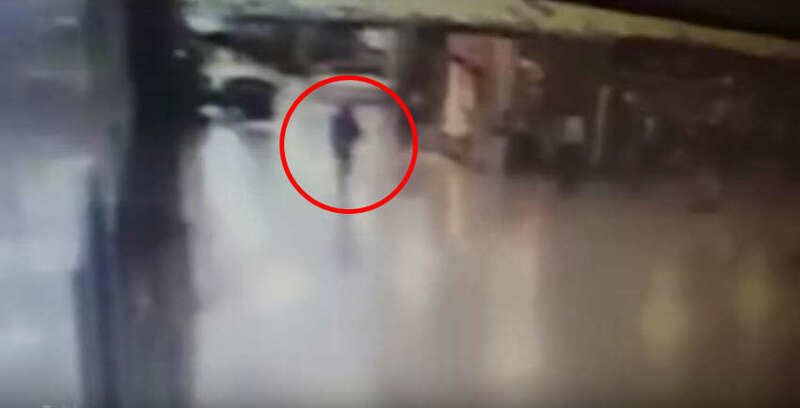 A separate video, taken by a CCTV camera behind an information desk in the arrivals hall, showed people all running in one direction seconds before there is an explosion just off camera. Turkish Prime Minister Binali Yildirim said 36 were dead as well as the three suicide bombers. Justice Minister Bekir Bozdag said 147 were wounded. Another senior government official told The Associated Press the death toll could climb much higher. Unless all governments and the entire mankind join forces in the fight against terrorism, much worse things than what we fear to imagine today will come true. Ataturk airport is the third busiest in Europe, dealing with about 50 million passengers a year. Last year, the airport overtook Frankfurt to become the third busiest in Europe, after London Heathrow and Paris Charles de Gaulle. There was no immediate claim of responsibility for the attack, which follows a series of Daesh-inspired bombings in the country, but Prime Minister Binali Yildirim said early signs suggested the so-called Islamic State was behind the attack, BBC reports. Our thoughts are with the victims, the families, and those affected by the tragic incident.